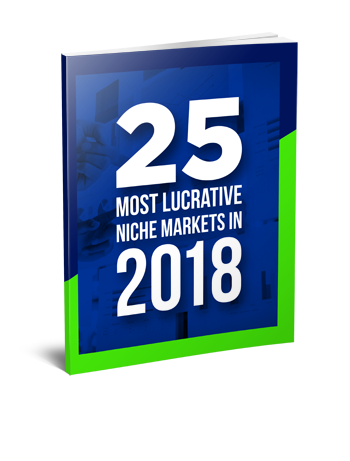 "Get 25 Most Lucrative Niche Markets in 2018 + Discover the Ultimate Formula to Calculate Profitability of any Niche and Pick The One You Can Dominate Today"
EARNING DISCLAIMER: This report is brought to you by DashNex, LLC. This site is not a part of or endorsed by or any other way connected to Facebook Inc. and/or Google Inc. Results presented in the report are not typical and can be only achieved through hard work, dedication and full commitment to execute. Every effort has been made to represent the information, and it's earning potential accurately. However, there is no guarantee for anyone that you will generate any income using techniques, ideas, concepts, and strategies. The earning potential of these strategies is entirely based on the person executing them. Just enter your email below, so we can send you the report of the 25 Most Lucrative Niche Markets! © Copyright 2018 DashNex. All Rights Reserved.